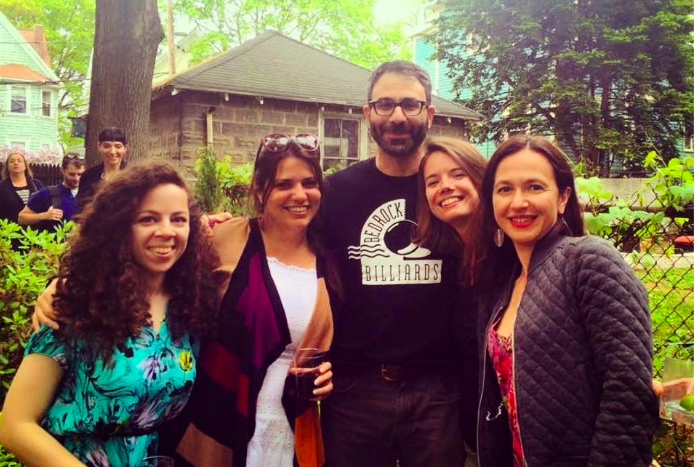 Global Voices community members Marianna Breytman, Elaine Diaz, Ivan Sigal, Ellery Roberts Biddle and Firuzeh Shokooh Valle in 2015. Elaine and her colleagues were in Baracoa to cover the effects of Hurricane Matthew, along with four other journalists who were also arrested. The trip to Baracoa was reportedly  made possible as result of a fundraising campaign. Periodismo de Barrio is a new media project that Elaine launched in 2015 an effort to improve local reporting on issues concerning natural disasters, the environment and local infrastructure. Elaine and her four journalist colleagues, all of whom reside in Havana, have been collaborating on the project for nearly a year. Most members of the group have worked both for state-affiliated media outlets and independent websites based in Cuba. Mónica Baró was nominated this past September for the prestigious Gabriel Garcia Marquez prize . Elaine’s aunt, Ceire Rodríguez, is quoted in a Diario de las Americas news report  as saying that that Elaine had tried to get permission for her team visit Baracoa to cover the hurricane, but the authorities were granting access to the area only to “accredited” media. A close contact reported that Elaine said that she and her fellow detainees were told they would be sent to the city of Guantanamo, which is near to but separate from Guantanamo Bay. Elaine worked as a professor of journalism at the University of Havana’s Communications School for several years, while blogging independently  on her site, La Polemica Digital, and writing for Inter Press Service in Cuba. She has been an influential voice in Cuba’s blogosphere since the mid-2000s, building a reputation for her keen insights on public interest issues affecting education, infrastructure and utilities in Cuba. Elaine was a Nieman Fellow at Harvard University—and the first Cuban journalist to receive the fellowship—in 2015-2016. During that time, she studied with journalists from Egypt, Chile, China, Russia and Spain and from across the US, as well as with renowned author Anne Bernays and MIT professor and Global Voices co-founder Ethan Zuckerman. As a community that has known and worked with Elaine since 2010, we are distraught at this news, and urge Cuban authorities to release Elaine and her colleagues immediately.